For comedy fans, October is the month to pay a visit (or two) to Arlington A rts Centre. Fast-rising comic Dane Baptiste brings his brand of observational comedy on Friday 7th October, with his latest show Reasonable Doubts. A man unquestionably on the rise, Dane has been nominated for Best Newcomer Awards at the Chortle Awards and the Foster’s Comedy Awards at the Edinburgh Fringe in the past two years. After a non-stop past 18 months, this is a brilliant opportunity to catch one of the rising stars in comedy. Following on in the vein of comedy, TV favourite Lucy Porter hits the stage with Consequences, her latest show, fresh out of the Edinburgh Fringe Festival with some great 4 and 5-star reviews behind it. Come see her on Saturday 29th October! Folk music fans are also in for a treat with some of the most sought-after artists on the scene making appearances this month. 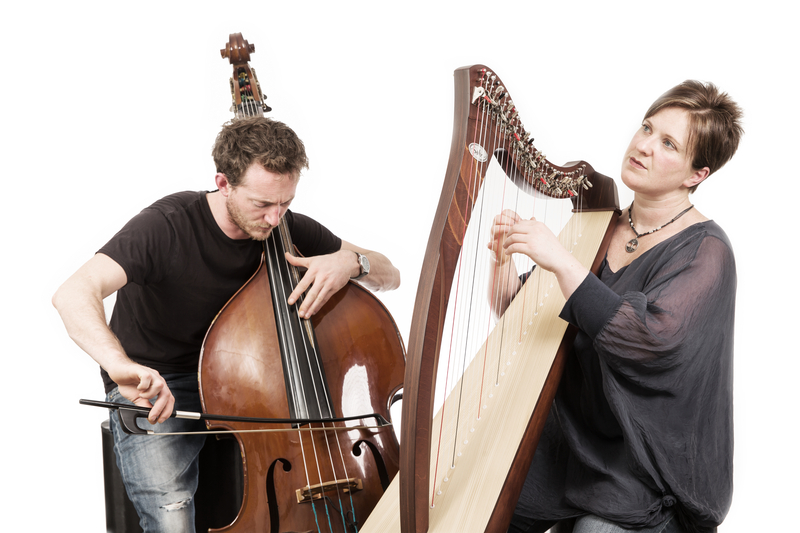 The prodigious talents of Ange Hardy and Lukas Drinkwater will be on display on Saturday 8th October; having been touted as “one of Britain’s top folk musicians” by The Telegraph recently, Ange, along with Lukas, perform some of the most remarkable folk around. With an exciting pop-folk sound are The Travelling Band, on Thursday 20th October, w ho continue to reinforce their growing name as an unmissable live band. Hot off the release of her latest record Here We Go 1,2,3, this month, Irish-born songstress Heidi Talbot stops by on Friday 14th October, with her band, featuring her husband and celebrated musician, John McCusker. If you’re after something a little louder, there’s also plenty on offer. For Elvis fans, West Berkshire-based tribute act, Trouble, recreate some of his most memorable moments with the help of an expanded 12-piece band on Saturday 15th October! Mercury acclaimed legendary bassist Jah Wobble with his band, The Invaders of the Heart, take to the stage on Saturday 22nd October with his unique mix of influences from punk to rock to reggae to eastern music, brought together in a style that’s all his own. And not forgetting the half-term break, the ever-popular story of Rapunzel, beautifully adapted by the Theatre of Widdershins in a puppet show sure to catch the imagination of all the family, young and old. A great way to spend the first morning of half-term – Monday 24th October, 11.30am! For more information or to buy tickets, visit www.arlingtonarts.co.uk or call the Box Office on 01635 244246 (9am-4.30pm, Mon-Fri). Previous post: The next big thing in comedy?